Since then, I’ve tried imaging it on numerous occasions, but never seem to be able to get quite the excitement or brilliance that others seems to be able to pull from their images. As the most distance object you can see with the naked eye (2.7M light years away), this target certainly warrants some attention. Anyway, I feel like this one is still an improvement over one taken/processed in May 2010 and another more “blah” one in July 2010. To me, this seems to be a testament to patience in processing! 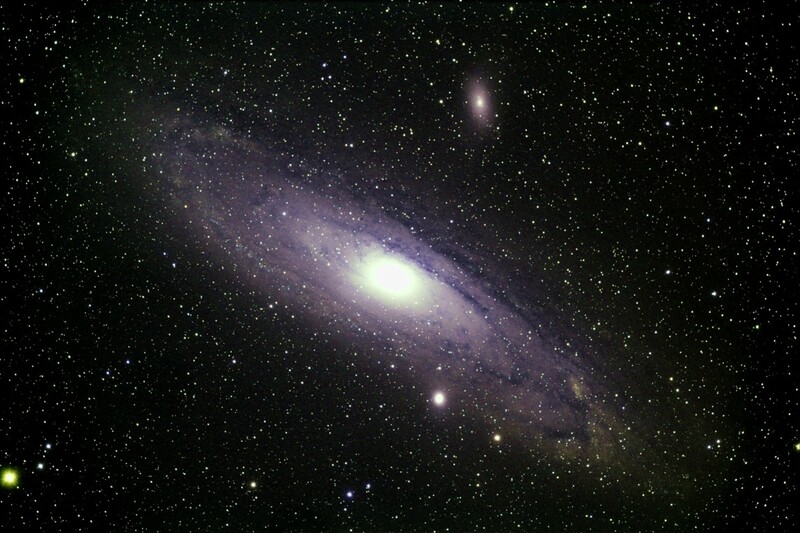 This time, I ran it through Nebulosity, primarily with the Digital Development (DDP) and Contrast Curves. Only afterwards did I start fiddling with Power Levels, which normally I begin my processing with. Amazingly, this is only 12x 300 second subs with another 12x darks applied. Televue NP101is, CGEM, Starshoot Pro and Autoguider, and the Skyglow filter. What do you-all think? This entry was posted by admin on November 9, 2010 at 11:25 pm, and is filed under Galaxies. Follow any responses to this post through RSS 2.0.You can skip to the end and leave a response. Pinging is currently not allowed.